What is a doula, and why do I need one? A doula is a trained and experienced professional who provides continuous physical, emotional and informational support to the mother before, during and just after birth; or who provides emotional and practical support during the postpartum period. Studies have shown that when doulas attend birth, labors are shorter with fewer complications, babies are healthier and they breastfeed more easily. A birth doula certified by DONA International is designated by the initials CD(DONA). A postpartum doula certified by DONA International is designated by the initials PCD(DONA). What should I look for when hiring a doula? The Coalition for Improving Maternity Services has issued Mother-Friendly Guidelines for Doula Services. This list will provide you with ten questions to ask your potential doula, ensuring that your concerns are addressed from the beginning of your relationship. Who are the doulas practicing in our community? How can I become a certified Birth Doula? For more information about birth and postpartum doulas, please visit DONA International. One week ago, Florida House District 69 Representative Keith Fitzgerald and his District Secretary Charolett Baker graciously welcomed me into their offices to discuss current c-section rates, maternal mortality, and access to midwifery care in Florida. Among many other topics, we were able to candidly speak about current federal legislative efforts to broaden access to midwifery care, the upcoming expansion of Sarasota Memorial Hospital, maternity clinics throughout Florida as prospective case studies, and opportunities for research of economic and medical outcomes. 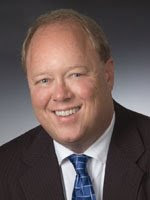 Representative Fitzgerald's experience and in-depth knowledge of the legislative process and political climate proved insightful and inspirational in providing direction for future action. I appreciate his time and attention very much, and look forward to continuing this conversation with him, his staff, and his colleagues throughout his tenure as our District Representative. I left Mr. Fitzgerald's office feeling grateful that I had cast my vote for an honest, astute official who grants each constituent a voice. Thank you for bringing local awareness to the maternal mortality rates in West Africa (editorial by Nicholas Kristof). These rates illustrate a preventable, international health crisis that needs to be addressed immediately. I applaud the cosponsors of the recently introduced Newborn, Child and Mother Survival Act, an effort to restore United States leadership in improving maternal and infant health worldwide. However, the strongest show of leadership is example, and the United States ranks 41st in maternal mortality. No improvement has been made in our own country in this area since 1982. The Center for Disease Control estimates that more than half of all reported maternal deaths could have been prevented by early diagnosis and treatment. Interestingly, as our c-section and intervention rates rise, so does our maternal mortality rate. The maternal mortality rate for cesarean section is four times higher than for vaginal birth, and is still twice as high for routine repeat cesarean sections without any emergency diagnosis. It seems that the American women who are dying fall between the extremes of lack of access to medical care, or overuse of medical intervention. Our government has a moral and ethical responsibility to strike a happy medium between these extremes within our own obstetric model, and restore leadership by example. We can only hope to improve maternal mortality rates internationally by beginning right here at home. Thank you to the Herald Tribune for printing this letter on Saturday, May 23rd. Read the online edition here. This Thursday, May 21st, at 8 am, a Congressional briefing will convene at the Sewall-Belmont House, 144 Constitution Ave. N.E., Washington, D.C. The topic of this briefing is the critical role that out-of-hospital maternity care (and the Certified Professional Midwives who are trained to provide it) can play in health care reform by reducing costs and improving outcomes. Background: A recent study commissioned by the Washington State Department of Health found that Licensed Midwives saved taxpayers and private insurers approximately $2.7 million per year. A similar study conducted for Florida would prove that number much higher. In 2007, we welcomed 239,143 babies into the Sunshine State, as opposed to 88,958 in Washington. Medicaid currently covers about 49.6% of all Florida births (37.2% of which are cesarean sections) vs. 45.6% in Washington (29% c-section rate). Using these statistics, mathematics tells me that Licensed Midwives in Florida save taxpayers and private insurers over $10 million ANNUALLY. A joint Milbank report released last year conservatively estimates that if the national cesarean section rate were reduced from its current 31.8% to the 15% World Health Organization recommended maximum, we would save at least $2.5 billion dollars per year in government-subsidized health care alone (not including private insurance companies). As currently only 26 states license midwives, this dollar amount will only increase with greater access to midwifery care, resulting in fewer interventions. Studies show that low-risk women who plan out-of-hospital births with Licensed Midwives have outcomes equal to low-risk women who deliver in the hospital, but with far fewer preventable, costly interventions. Do you believe that Licensed and Certified Professional Midwives play an important role in our health care system? Do you believe that out-of-hospital births are safe for low-risk, healthy women attended by Licensed Midwives? 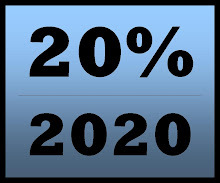 Do you believe that our current cesarean section rates (37.2% in Florida) are too high? Do you believe that our government should support an initiative that would simultaneously save taxpayers money and improve birth outcomes? If you answered yes to any of these questions, please consider taking a moment over the next couple of days to contact our federal legislators (in Sarasota: Mel Martinez, Bill Nelson, and Vern Buchanan). Ask them to consider officially co-sponsoring the briefing on Thursday. Suggest that they send a 'Dear Colleague' letter to encourage Congressional attendance. Most importantly, invite them to attend the briefing, as their doing so would represent your interest as their constituent. Please read this Call to Action from The Big Push for Midwives, including talking points and tips for speaking with legislators. Remember, they work for you. Your voice will be heard. The stress was on. My due date for my third child was here and gone. 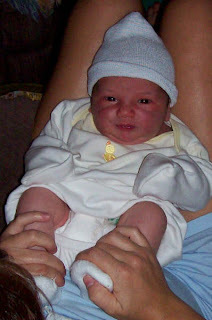 This was my third attempt at an out-of-hospital birth. I was only a day 'over due', but the anxiety was almost palpable. The last time a due date was near, my little girl stopped moving. The strong boy in my belly let me know he was still there, but I was waiting impatiently to hold him and watch his little body breathe. My blessed midwife understood my fears; she was there when Tanwen’s lifeless little body was born. Harmony sent me to Deanine, who gave me a wonderful, soothing acupuncture treatment. Exactly twenty-four hours later, and after another visit to Harmony, my long-awaited labor started. Harmony told me I was five centimeters at the visit. We live two hours away, so she advised us not to go home, but to stay with our friends in Sarasota. “When it happens, it’s going to happen fast,” she said. It was early labor, so we just let the day unfold. My mother was with us, so we decided to go to G-Wiz. Tully, our then three year old, was happy to play with Gramma while Cesar and I walked around the museum and theatre. It was beautiful to feel the breeze from the Gulf on my face and hold my love’s hand. He was rock steady through my emotional storm, and though he was anxious as well, he never added to my distress. “This time will be different,” he assured me. We walked for an hour or so and then hit Tijuana Flats for some lunch before my non-stress test at the hospital. Cesar stayed to finish eating, while my mom and I went for the test. It was comical. Every other time I had been there, they happily informed me when I was contracting. Those were Braxton-Hicks, this time was real. I told them I was in early labor and they didn’t believe me. “You aren’t contracting,” they said puzzled. I smiled to myself and took a nap while listening to my little boy’s rhythmic heartbeat. When the test was over, we went to Arlington Park. Tully played and I leaned over the picnic table, rocking my hips back and forth. Watching my first born play and feeling my body slowly unfold for my second was like the most beautiful dream. Nothing could go wrong this day. ‘This is different,’ I thought, ‘it feels electric’. My big mama body was humming with power and life. The ice cream from Big Olaf’s was like the icing on the cake of those early hours. I wanted to rest, so we went back to Liz and Shane’s house. At around 5 o’clock, the labor got serious. It was on and I was ready. However, Rosemary Birthing Home was already welcoming someone else into this world. There was room, but I wasn’t excited about laboring through someone else’s birth. I wanted this birth to be small and close. I said we would wait our turn. When Cesar checked me, we decided that maybe we didn’t have that kind of time. He went downstairs and came back up to me. In that time, I had gone from car-ready to tub-ready and told him I wasn’t going anywhere and would someone please fill up Liz’s big tub downstairs? While walking downstairs, I felt like I was holding the baby in. I was so happy to get in that warm water and let go of my cervix. Harmony was right. It was happening fast. Would she even make it? Did I want help? Another rush of energy and I was rolling my forehead on the edge of the tub so that I wouldn’t push. Cesar was right, this was very different. I wanted to be alone. Suzanne arrived about thirty minutes before Harmony. My mom was relieved. I was oblivious. I was busy tossing my head from side to side and blowing like a horse to keep from pushing. Harmony was called and she handed over the post partum baton from the other birth to another midwife and headed my way. Suzanne quietly gave me Harmony’s whereabouts on the road; Booker Middle school. ‘Booker,’ I thought, ‘B-O-O-K-E-R.’ I spelled names in time with the rocking of my head on the side of the tub. My best friend, Jackie had arrived at some point and the beautiful mamas who attended my blessing way were sending me all their love and energy. I could feel it in the peace that surrounded me. Harmony arrived and calmly set up. She came in and asked me in her wonderful, grounding voice, “How you doing?” I told her that I was REALLY ready to push. She checked me and told me that I could whenever I was ready. I almost laughed. I had been ready for nine months to push this precious baby out! I gave a big push and the waters broke and splashed Jackie. I would have laughed so hard had I seen that, but I was focused as I had never been focused before. Harmony says that she told me to slow down and Cesar told me the same. I didn’t hear them. Harmony muscled my hand away from where it was braced on the side of the tub so that I could feel my baby’s little head. I don’t remember that. I remember yelling, “Please come out! Please come out!” each time I pushed. Then I remember the relief as his little body slid free of mine. I grabbed him from whoever was holding him and pulled him to my chest. Relief so profound that it stole my breath washed over me. Now for the part that I was so scared of, yet so anxious for. I looked down and watched as my sweet little baby open his mouth and took in his first breath. I had been waiting for over two years to see that. He was here, just as he was supposed to be and I am whole again. 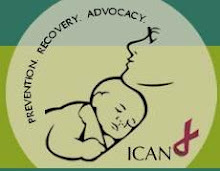 I am proud to become involved in the Safe Motherhood Quilt Project, an initiative by world-renowned mother of modern midwifery Ina May Gaskin. Gaskin's vision is that each mother who has died in pregnancy or childbirth in the United States since 1982 be honored with a square on the quilt, raising awareness to the fact that the U.S. has not improved maternal mortality rates since that time. Did you know...that the United States ranks behind at least 40 other nations in maternal mortality rates according to the World Health Organization? In 2005, the United States reported 15.1 maternal deaths per 100,000 live births, up from 7.5 per 100,000 in 1982. Did you know...that black women in the United States have 4 times the risk of dying from childbirth or childbirth related complications? Hispanic women in the United States, similarly, are 1.6 times more likely than non-Hispanic white women to die from pregnancy-related causes. Did you know…that the Centers for Disease Control estimated in 1998 that the US maternal death rate is actually 1.3 to three times that reported in vital statistics records because of underreporting of such deaths? Did you know…that reporting of maternal deaths in the United States is done via an honor system? There are no statutes providing for penalties for misreporting or failing to report maternal deaths. Did you know…that the Centers for Disease Control estimates that more than half of the reported maternal deaths in the United States could have been prevented by early diagnosis and treatment? The quilt is made up of individually designed squares; each one devoted to a woman in the U.S. who has died of pregnancy-related causes since 1982. One quilt square is designed and dedicated to each mother's memory and may mention the date and place of death and the name of the woman. 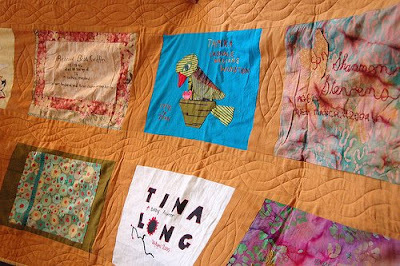 The Safe Motherhood Quilt is the voice for women who can no longer speak for themselves. * The woman died within a calendar year after the end of her pregnancy (documented by an obituary, death certificate, relative's or witness' account). 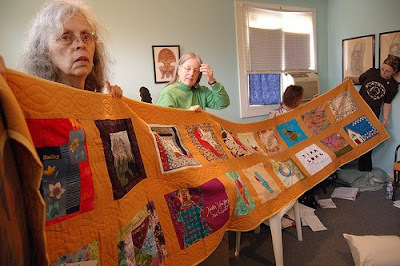 I volunteered to do some quilting work for this project, and my first assignment was to commemorate Susan Goodrich, who died giving birth to her fourth baby, Charles Moses. Read more about this quilt square here. Do you know of a woman's story you'd like to share? Please contact me for more information. In April, I wrote a guest column for the Sarasota Herald-Tribune, prompted by the March release of 2007 birth statistics by the U.S. Center for Disease Control and the Florida Agency for Health Care Administration. I was thrilled to see an edited version of this column also printed in the May edition of Natural Awakenings, which is their annual Women's Health issue. The following is the unedited version of the column. When used appropriately, cesarean section can be lifesaving, and I am grateful for the skilled obstetricians that perform this surgery. However, the national c-section rate has increased by 50% since 1996, and is now 31.8%, more than double the World Health Organization maximum recommended rate of 15%. Florida’s numbers are even higher, and here at Sarasota Memorial Hospital (SMH), that rate is 44%--almost triple the WHO recommendation. It is time to reverse this dangerous trend. The risks associated with cesareans far outweigh those associated with vaginal birth, and rise exponentially with each repeat surgery. For mothers, these risks include hemorrhage, blood clotting, scar adhesion (which increases risk for future pregnancies and gynecological problems), and increased maternal death. Babies born by c-section are less likely to breastfeed, more likely to sustain respiratory damage, and twice as likely to die during infancy . Studies attribute the increases in severe maternal complications and premature birth to climbing c-section rates. This trend is having a significant economic impact as well. On average, a cesarean costs twice as much as a vaginal delivery. With Medicaid currently covering half of all Florida births, our taxpayers are paying for this increase. Additionally, mothers with prior c-sections are more frequently being denied insurance coverage. This creates a burden for families who have to pay for future maternity care, including birth, from their own pockets. ‘Maternal request’ is not to blame. National data reveals that 98% of women with primary cesareans believed there was a medical reason for their surgery. Instead, the largest percentage of c-sections—over one third—are performed under the diagnosis ‘prior cesarean section.’ Women are still being told ‘once a c-section, always a c-section,’ though studies show that Vaginal Births After Cesarean (VBACs) are as safe or safer than repeat cesareans. In a recent editorial, SMH maternal-fetal medical director Dr. Washington C. Hill, M.D., FACOG, recommended that VBACs be performed in the hospital, with “obstetricians who are supportive of VBAC delivery and of the pregnant woman's desire and right to deliver vaginally.” These obstetricians, however, are hard to come by. 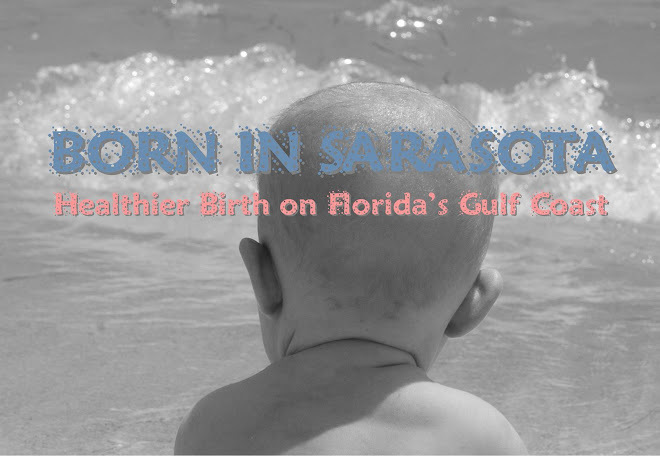 Of approximately 3,300 births in Sarasota hospitals in 2007, only 7 were VBACs. The tax-funded Health Department denies women VBACs and requires repeat c-sections. Although 3 out of 4 women who attempt VBAC with supportive caregivers are successful , they are allowed in less than half of Florida hospitals, and fewer than 1% of Florida obstetricians will accept a new patient requesting a VBAC . The rising c-section rate is a women’s health crisis; however, safe and proven ways of reducing these rates do exist. By implementing evidence based modules (such as the Midwives Model of Care and the Mother Friendly Childbirth Initiative), encouraging spontaneous labor and minimizing technological interventions, we can make a concerted effort at achieving healthy birth statistics. This effort must include increased support for women seeking VBACs, from both the provider and the institutional level. The upcoming expansion of SMH includes many new labor and delivery rooms; the chance to reduce the cesarean rate begins there. SMH has an excellent reputation for emergency care services. I urge the same standard for support of normal birth. By reducing our c-section rates, Sarasota has the opportunity to display the will and leadership needed to provide evidence-based maternity care, thereby improving birth outcomes and saving taxpayers money. Today we celebrate International Day of the Midwife. In recognition, I am honored to introduce the midwives in our community currently practicing in our birth centers, and in your homes. Christina Holmes is a Licensed Midwife, attending homebirths in Sarasota since 2002, and since 2007 at her own Birthways Family Birth Center. Christina is also a doula, childbirth educator, massage therapist, and mother of three, the youngest of which was born at home with midwife Cathy Matthews, LM. For more information, please visit www.birthwaysfamily.com. Harmony Miller is a Licensed Midwife, serving Sarasota's families at Rosemary Birthing Home and in their homes since 2006. 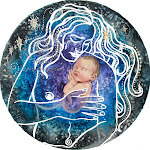 Harmony has attended midwifery conferences worldwide and continues to learn from the practices of other cultures. In January she gave birth to Rio at home, with midwife Anne Hirsch, LM. Miller plans to volunteer with the new Birthing Project at the Genesis Health Clinic in the Newtown community. 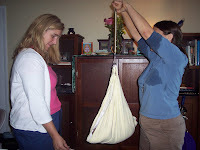 For more information, please visit www.roseemarybirthing.com. Cathy Matthews is a Licensed Midwife, serving our community for over twenty years. In 2006, she began the Alternative Medicine Program at Everglades University. Cathy is the mother of 5 children, 4 born at home, and 1 grandchild, born at home. For more information please visit www.cathymatthewshomebirth.com. 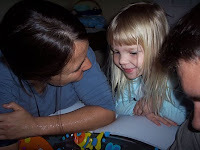 Alina Vogelhut is a Licensed Midwife who joined the Rosemary Birthing Home midwifery practice in November 2008. Alina graduated from the Florida School of Traditional Midwifery in Gainesville, and interned for three years at the Birth Cottage in Tallahassee, where she attended nearly 200 births. 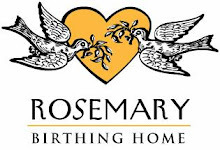 For more information, please visit www.rosemarybirthing.com. Sabrina Zehr is a Certified Nurse-Midwife at Birthways Family Birth Center. Sabrina just returned from spending two months in Davao, Philippines, volunteering at Mercy Maternity Center where she provided prenatal care and delivered babies for the underserved Filipino women. Zehr also plans to volunteer at the Genesis Health Clinic. For more information, please visit www.birthwaysfamily.com.